Red ones, yellow ones, white ones, brown ones, unpainted ones. Round, rectangular, polygonal. Small, medium and big. Who would have guessed that the state's historic barns could be so diverse -- and fascinating to explore? The Connecticut Trust for Historic Preservation, for one. Since 2004, the preservation organization has been scouring the state, collecting information on just about every barn its board members and about 400 volunteers could find, explains Charlotte Hitchcock, chief barn researcher. "So far, we've documented about 8,500 ... the list is pretty inclusive, with all the barns we know of," from modern structures to those that are historically significant and were built at least 50 years ago. All are symbols of Connecticut's rich agricultural past and present, most constructed from wood, she adds. "Well, with all this information, we thought we should do something good with it," said Hitchcock, laughing. So she and the CTHP -- along with support from the state and other sponsors -- have created a free Connecticut Barns Trail brochure, which debuted a few weeks ago, containing a treasure trove of information about barns, their locations, shapes, sizes and uses. 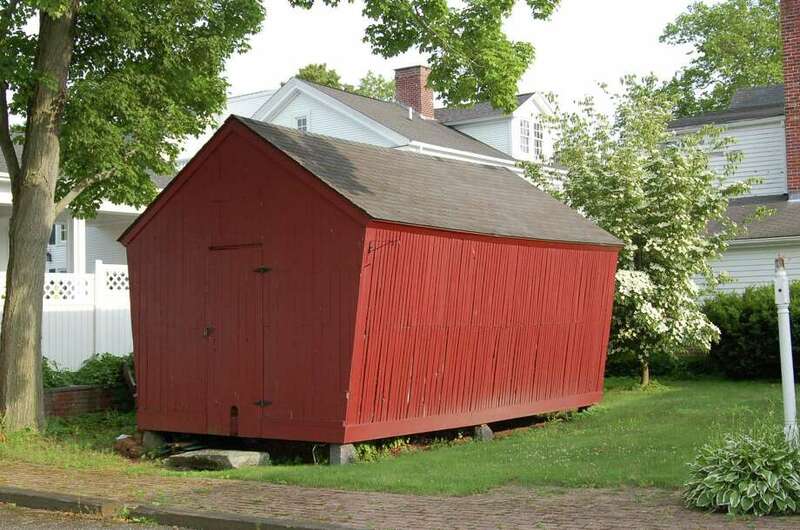 For a copy of the Connecticut Barns Trail brochure, write to the Connecticut Trust for Historic Preservation, 940 Whitney Ave., Hamden CT 06517 or call 203-562-6312. Brochures also are available at many highway welcome centers, libraries and barn sites throughout the state. Also available is the free iPhone app at the iTunes App Store; search for CT BARNS. According to CTHP, this application also runs on iPad. cttrust.org; connecticutbarns.org. In addition, the guide includes seven self-guided auto tours by region: Northwest Hills, Connecticut River Valley North, the Quiet Corner/Northeast, Thames River Valley and New London County, Connecticut River Valley South, New Haven and the Shoreline, and Fairfield County and the Western Shore. "entranced" with the state's wealth of barns. "I've probably had more fun in this job than any other in my life. And I've met some incredible people -- farmers, preservationists, homeowners." Now she is attempting to determine the state's 200 most significant barns from the thousands on file. The top 200 will be nominated for inclusion on Connecticut's Register of Historic Places, she added. Each route, we are told, has different highlights and features: tobacco sheds; onion storage sheds (especially in Fairfield County); dairy barns (also at one time known as "cow houses"); potato and mushroom barns (often built in brick or stone, to be dark and cool); poultry houses/chicken coops; corn cribs, set above the ground with slanted walls and overhanging eaves to keep corn dry; horse and carriage barns; and the "gentleman's barn," often designed by a famous architect and built as part of an estate for the wealthy. Not only were they built for a variety of uses, but in a variety of styles: English, built as a rectangle with entry on the long side; New England, with entry on the short side; bank, characterized by an elevated first floor for hay, with airy space below for animals; gambrel, which describes a type of expanded roof to allow more storage space, used with New England and English-style barns; and multi-sided and round barns, which never became popular with American farmers. There is plenty to do and see along these routes for children and adults alike. As a convenience for travelers, the brochure includes places where ice cream, snacks, lunches and farm-produced wine are sold, along with such seasonal items as cider, farm-grown vegetables and fruit, Christmas trees and pumpkins. Sites that have cafes, garden centers, hayrides, orchards, speciality shops, exhibits, trails and nature centers also are identified. On a recent Saturday, my photographer-husband and I spent about four hours visiting several spots on the New Haven/Shoreline tour, exploring barns and businesses in North Branford, Guilford and Madison. To be honest, our adventure surpassed our expectations. Once we were able to exit Interstate 95, the barn route turned into a pleasant country drive. We picked up the tour at Rose Orchards in North Branford, where a converted gambrel roof dairy barn features a farm market (the strawberries were delectable) and ice cream stand. Also on the property are such farm animals as goats and roosters, tractors for climbing (a hit with the kids) and a picturesque New England-style barn with a water wheel (www.roseorchardsfarm.com). At the charming 1844 Dudley Farm Museum in Guilford -- a nonprofit facility operated by the North Guilford Volunteer Fire Company -- visitors may enjoy the grounds with its many outbuildings and livestock. On the property is an 1860s barn that once housed a boat-lumber business; it was moved from Madison to the site in 2002. Tours of the farmstead are offered Thursday through Sunday. (During our visit, the main Munger Barn, a rental facility painted a butter yellow, was being decorated for an evening wedding with enchanting painted birdhouses decorating each table (www.dudleyfarm.com). The Lakeside Feed store in Guilford gave us the biggest surprise. It's lovely, with an English-style barn and gambrel-roof barn on this large farm, replete with a pretty farm house and a herd of llama and some peafowl (www.lakesidefeed.com). We stopped briefly at the Madison Historical Society to catch a view of its red "very fine corn crib" behind the Allis-Bushnell House in historic town center (www.madisoncthistorical.org). And then we headed for Bishop's Orchard to cap off our tour with a shopping spree, purchasing an array of cheeses, cider doughnuts and Bishop's own raspberry wine. On this farm -- in the Bishop family since 1871 -- is a "barn-like store designed to resemble a cross-gabled dairy barn" and other outbuildings, as well as a pen of llamas (www.bishopsorchards.com). We arrived home about 35 minutes later to feast upon our purchases -- and reflect upon a day well spent.